DAHLGREN, JOHN ADOLPHUS. (1809-1870). Union Civil War admiral and inventor; founder of the U.S. Navy’s Ordnance Department. ALS. (“Most affectionately, Your father”). 4pp. 8vo. Panama, on board the Powhatan, May 6, 1867. To his daughter Eva Dahlgren (1848?-1870). The son of a Swedish consul, Dahlgren was born in Philadelphia and joined the United States Navy at around age 17. 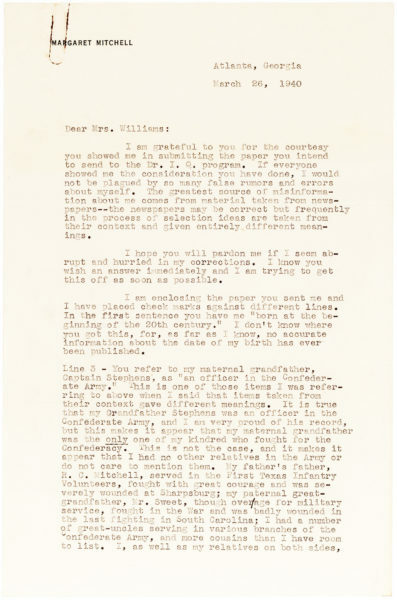 Over the course of his career he became an expert in ordnance, authored The System of Boat Armaments in the United States Navy, Shells and Shell Guns and Naval Percussion Locks and Primers, oversaw the establishment of an in-house foundry, developed several types of weapons for use on small boats including the boat howitzer, and, most notably, a cast-iron muzzle loading cannon called the Dahlgren gun, an improved version of French Admiral Henri-Joseph Paixhans’ shell gun. Dahlgren’s gun was designed to be safer and to operate as well as more powerful than previous naval artillery. 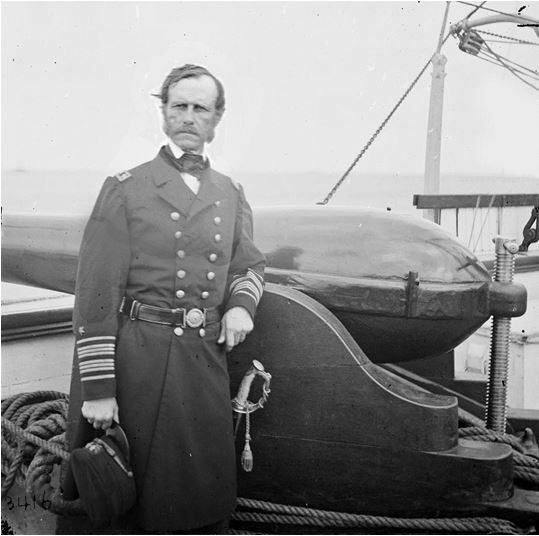 At the outset of the Civil War, and at Abraham Lincoln’s request, Dahlgren took command of the Washington Navy Yard. He was promoted to Rear Admiral in 1863 and aided William Tecumseh Sherman in his capture of Savannah. 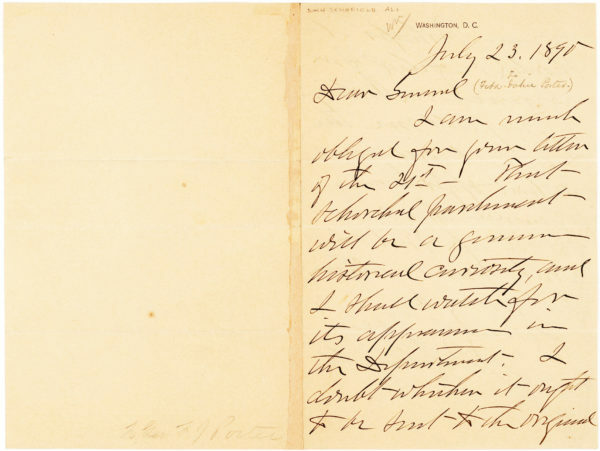 Our letter was written while Dahlgren commanded the South Pacific Squadron, an uneventful posting that he held from 1866-1869. 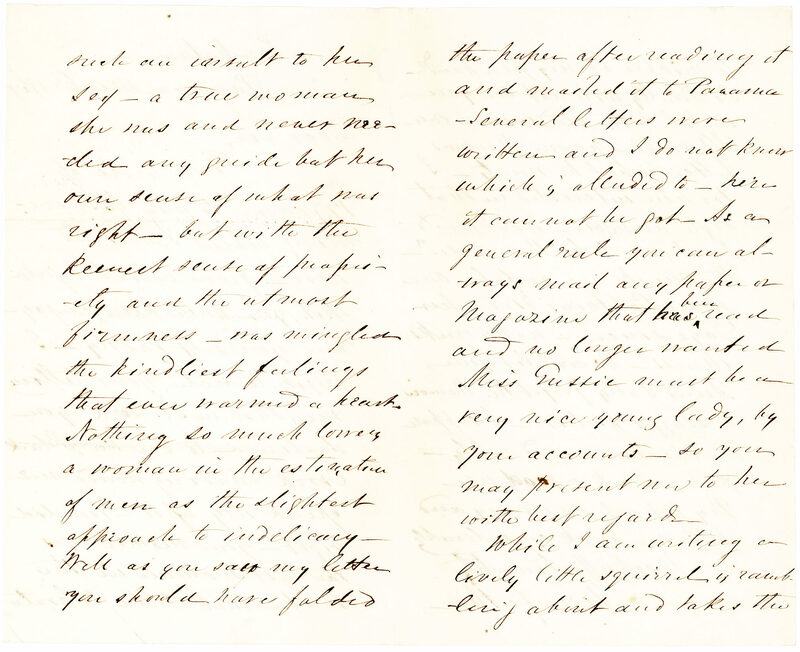 In 1839, Dahlgren married Mary Bunker who died in 1855 and whom he devotedly remembers to his daughter in our missive. Together, in addition to Eva, Mary bore him three sons, one of whom was killed during an unsuccessful assassination attempt on Jefferson Davis in 1864, known as the Dahlgren Affair. After Mary’s death, Dahlgren married Sarah Madeleine Vinton, a prominent writer, translator, anti-suffragist, devout Catholic, and widow of the first assistant secretary of the U.S. Department of the Interior. 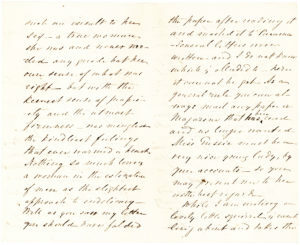 In a letter by Elizabeth Blair Lee (the sister of Lincoln’s postmaster general) to her husband, Rear Admiral Samuel Philips Lee, from March 4, 1864, she observes: “The Admiral [Dahlgren] is unfortunate in his children…the second daughter [Eva] is as ugly as mud & stupid,” (Wartime Washington: The Civil War Letters of Elizabeth Blair Lee, University of Illinois Press, 1999). Interestingly, our letter critiques The Black Crook, considered the first modern musical, which made its Broadway premiere on September 12, 1866 at Niblo’s Garden. Although the plot was derivative and the music forgettable, “there were dazzling special effects, including a ‘transformation scene’ that mechanically converted a rocky grotto into a fairyland throne room in full view of the audience. But the show’s key draw was its underdressed female dancing chorus, choreographed in semi-classical style… righteous attacks from pulpits and newspaper editorial columns made The Black Crook the hottest ticket on Broadway,” (“The Black Crook,” Kenrick, musicals101.com). 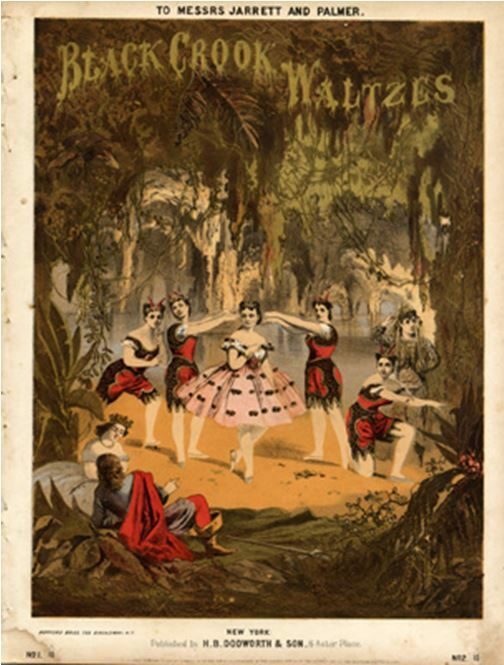 The Black Crook ran for a record-breaking 474 performances and enjoyed three subsequent revivals during the 1870s. 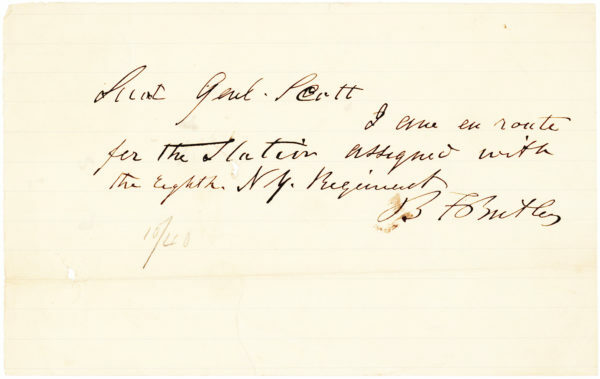 Our letter was written aboard the USS Powhatan, a sidewheel steam frigate launched in 1850 and named for the Native American chief. After seeing action during the Civil War, the Powhatan was the flagship of the South Pacific Squadron from 1866-1868. 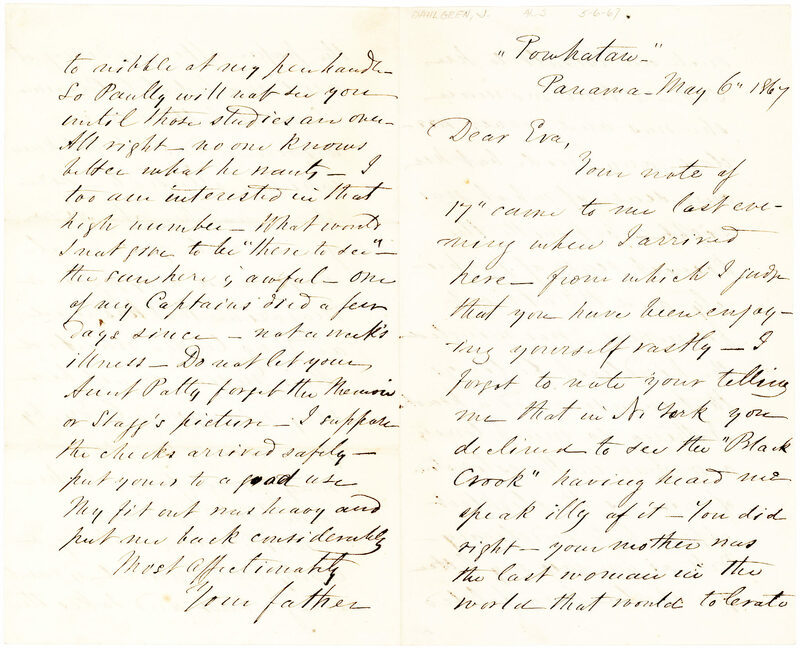 Normal letter folds and in excellent condition.